Marketing professionals have long touted the advantage of appealing to the different generations. In fact, the marketing industry is largely responsible for coining the generational names and identifying their distinct characteristics. As a hiring manager, building a team that spans every generation from the now emerging Generation Z to the Baby Boomers, can be tricky. While individuals aren’t identical to their stereotypical generational descriptions, there is a great deal of difference in mind set and priorities from generation to generation. For the hiring manager to adequately fill positions in a way that helps bolster the current company culture, or even improves it, knowing how to create a harmonic work environment with these varying demographics can be key. Healthcare has certainly seen more than its fair share of monumental changes in organization in the last few years. There have been new regulations to consider, massive coding changes, and the concern over healthcare legislation that seems constantly in a state of uncertainty. There have been additions of EHR and new technology to keep organizations up to speed in Meaningful Use requirements. There has been a shift from patients as simply patients to treating them as healthcare consumers and moving the service model to more closely resemble traditional retail models. 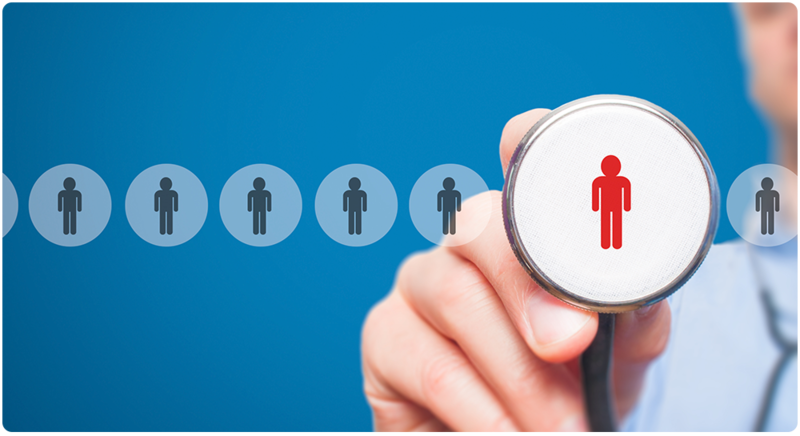 Another area where your healthcare organization may be seeing an influx of changes is in the employee and staff management structure. Simply put, it doesn’t work the same way that it did in previous generations. In the older models, the traditional path of employment mean that younger, newer professionals started at the beginning level for their industry or specialty. This, of course, is still true in certain aspects, such as physicians completing medical school, internships, and then residency before moving ahead with their careers. But in many other areas, the model has changed significantly. There are a great many examples of staff members being moved up to management and leadership positions based on education and ability where they are in a position to oversee workers and who are senior to them in age. This is fairly new in the work force and can be tricky to maneuver overall for staff members who have been doing their jobs for a great amount of time to suddenly need to answer to someone far younger. Managers who are in the Millennial generation, for example, will often lean toward higher use of technology to streamline workflow, which can be difficult for older staff members to adjust to quickly. Those are some of the cons but the truth of the matter is that the best person for the position may not always be the most senior. A good practice is for you to keep your finger on the pulse of the organization culture to maximize your chances of seeing possible problems in staffing before positions are filled. Often recognizing where issues may happen will allow you to come up with creative solutions that keep morale up and bolster overall employee satisfaction. Some companies will look for ways to entice set generations for open positions simply because that generation fits into the company culture in that area of the organization. People are often surprising though. There are a great many members of the Baby Boomer Generation that are technologically savvy. You’ll find some members of the new Generation Z who are excellent in personal interaction (even though most of the data of this generation says they do better with text and social media than in person). Use your generational knowledge as a guide for things to note in candidates, but recognize that each individual might not align completely with the narrative for their age bracket. If you ever research the different generations, you’ll notice that different sources might use slightly different timelines for the years attributed to one generation or another. Often they overlap slightly, with those born at the very beginning or end of a generation sharing many traits with both groups. Baby Boomers. The Baby Boomers is a large generation and it’s often noted as spanning a 20-year period (born in 1945 to 1965). Some sources split this generation into two groups, with those born between 1955-1965 noted as the second boomers or The Joneses. In most organizations, the older baby boomer group is either entering retirement or has recently retired. Many boomers are working well past retirement age, due to financial necessity and often because those in this generation put a great deal or priority on their careers. Simply put, many don’t want to retire completely. Many baby boomers prefer set scheduled work hours and are noted for their dedication to their employers. Today, many boomers are interested in continuing their employment in a part time capacity after retirement age. Generation X. This generation was once called the lost generation. Some sources put the birth years from 1965 – 1980. This generation entered the workforce in the late 90s or early 2000. They are noted for a conscientious work ethic but less loyalty than the baby boomer generation. Generation X wants security and benefits to align with their needs and performance. They were the first generation that were unafraid to leave current employment for better opportunities elsewhere. Their focus is largely on satisfaction in their contributions to the company, personal growth and personal accomplishment. Millennials. There have been a lot of negative associations with millennials (born 1980 – 1997) but the truth is that many millennials have a great handle on technology and multiple disciplines in their field. Millennials are interested in a work/life balance and, like their predecessors, will leave a current position if they feel they’ll be happier in another company. For millennials, pay is a factor but often the largest factor is personal satisfaction and growth. They are a generation that likes to be mentored and values organizations that will help them grow professionally. Generation Z. This latest generation is just entering the workforce currently. Many are still in college and interning, so it’s difficult to say what type of employees the generation as a whole will make. Many in this generation are very socially conscious and make decisions about their career and future based on their passions. The merging of these diverse generations can create an excellent culture in any healthcare organization of hiring managers and those in charge of staff keep an open door policy to keep communication healthy.